Probably the highest tide I can remember seeing in Port Askaig, the water in the Sound of Islay being almost level with the pier. A few minutes before this picture (unfortunately didn’t have the camera ready at that time) the Calmac employee collecting the tickets had to run to save himself when the wash from the leaving Jura ferry washed over the pier completely flooding it. You can still see of the water the car is driving through. 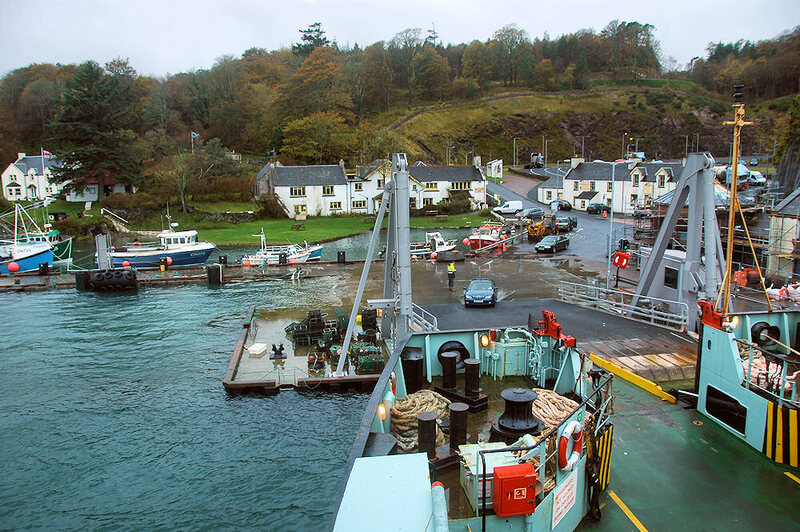 This entry was posted in Cloudy Weather, Landscape, Repost, Village and tagged ferry, Port Askaig by Armin Grewe. Bookmark the permalink.